Known as a Mother-Baby company, Johnson & Johnson employees recently planted a sea of trees at La Mesa Watershed & Nature Reserve. True to its vision of nurturing babies as well as the future generation, the said company once again took its part in doing environmental responsibility through planting greeneries in a 1-hectare land area through Bantay Kalikasan. 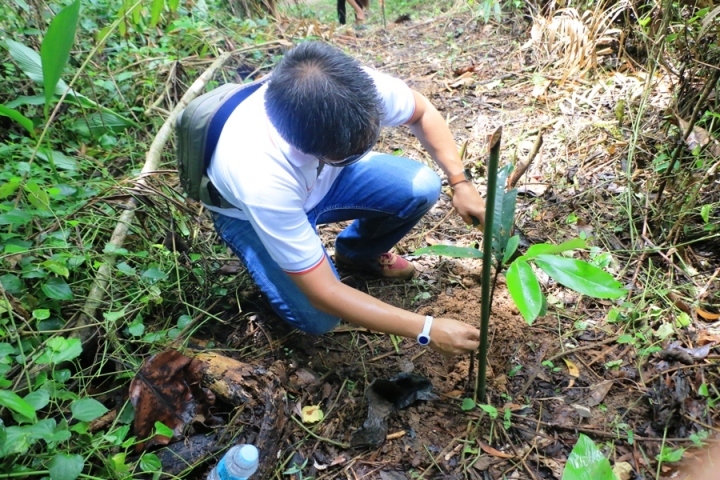 Johnson & Johnson also encouraged other private sectors and individuals to give back to environment through tree planting activities. “Our responsibility is to give back to the communities and to the environment, we encourage everyone to join us and experience an event where they can take care of the environment.” said Sean O. Zantua, HR & CSR Director, Johnson & Johnson. This is the third time that Johnson & Johnson engaged with ABS-CBN Lingkod Kapamilya Foundation, Inc.
Bantay Kalikasan likewise expressed its gratitude to its partners who continuously support the cause for environment.